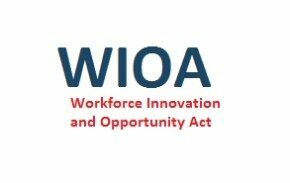 Area youth enrolled in the WIOA (Workforce Innovation and Opportunity Act) program are learning valuable skills through work experience. They are gaining basic employee skills such as being on time, dressing appropriately, working with supervision, customer service, etc. Also, they are gaining specific job skills at their place of employment. A wide variety of employers participating including florist, grocery stores, day care center, nursing home, various retail sites, county offices, construction, etc. In addition to the valuable experience, the participant also earns an hourly wage that is paid for through WIOA funds. The employer benefits from the program by receiving no-cost temporary employees and knowing that they are providing valuable experience to the youth.